Disclaimer: I don’t have any sleep problems. Two hours before my head hits the pillow, I turn off all electronic devices (yes, even my phone!). I dim the lights, grab a book and let it lull me to sleep. Works a charm. True to Murphy’s law, everything that could possibly go wrong IS going wrong. Cue endless sleepless nights wondering if I picked the right web host, figuring out how to fix the glitches that went along with the migration and making plans for the flat move (with 2 weeks to go, I still have NOT found a decent place to live in…). Can Lavender Help You Fall Asleep? Lavender oil is an old wives’ tale for restless sleepers and insomniacs. But… it sounds too easy, doesn’t it? Where’s the catch? Lavender works only in MILD cases. I’ve scoured the scientific literature and found plenty of studies showing that a few drops of lavender oil on your pillow “improved quality of daytime wakefulness and more sustained sleep at night” and has a “significant beneficial influence on quality and duration of sleep and improved general mental and physical health” without the side effects associated with drugs. But the results are’t so staggering to trumpet lavender as a miracle cure for sleep. Far from it. Those same studies also showed that “milder insomnia also improved more than severe ones“. Still, even a little bit is better than nothing, right? Problem is, I’m not sure This Works Sleep Plus+ Pillow Spray uses lavender oil. It’s a scented spray, so it doesn’t have to list ALL the ingredients on the packaging. There, I said it. I spray a generous dose of This Works Sleep Plus+ Pillow Spray on my pillows, went to bed and… tossed and turned for 3 hours before finally falling asleep. And I barely got a wink of sleep the past two nights. It’s not like I wasn’t tired already. This Works says natural nighttime movements are supposed to release the fragrance into your pillow. Maybe it does, but I could hardly smell it. This stuff is so faint, my nose barely picked it up (and nope, I don’t have a cold). I get it that you don’t want the scent to be too strong and overwhelming, but how can a scent help if you can’t smell it?! Maybe that’s the issue here. This Works Sleep Plus+ Pillow Spray is too faint. Or maybe it doesn’t use real lavender oil. Or maybe this “lavender helps with sleep” thing is just a placebo effect. If you don’t believe it helps, it won’t. Guess I’ll have to stick to concealer to get rid of dark circles then. If only it were so easy to get rid of the cranky mood, too. 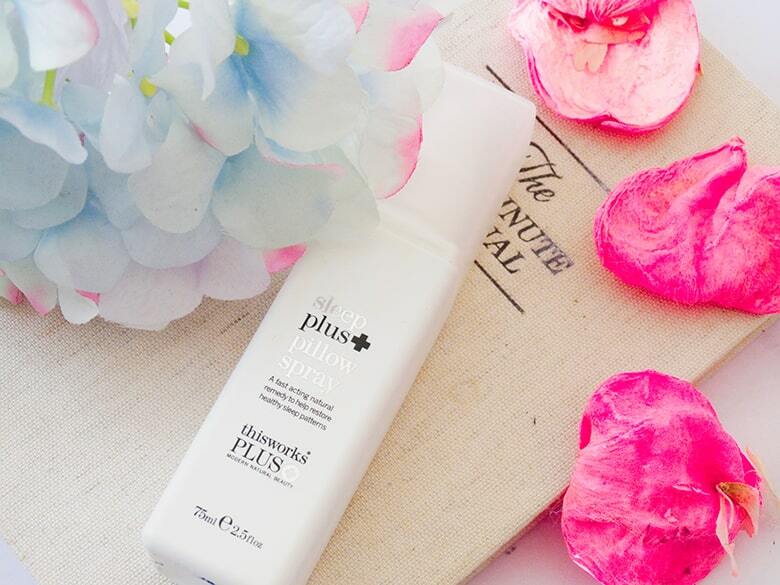 Have you tried This Works Sleep Plus+ Pillow Spray? Share your experience in the comments below. You might want to read “The Sleep Book” by Guy Meadows. It’s based on Acceptance and Commitment therapy, evidence based and brilliant. It cured my chronic insomnia in a matter of days.